Sponsor our daily "Show Video Reports" (4 to 8 minutes) which we produce during events. You can sponsor these video reports with an advertisement (up to 30 seconds) to be played at the beginning of each video. Becoming a sponsor also entitles to a coverage of your company and products in one of our video reports (for 1 to 2 minutes). Up to 2000 words and 5 pictures. Link on the homepage for 24 hours. 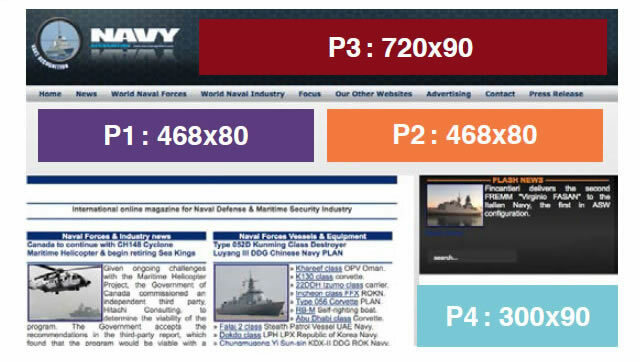 Text advertorials will be published on www.navyrecognition.com during or before the show.